— Do you have a portfolio? — Can you show your previous works? Contacting a new client, whether direct or a translation agency, you will face a situation when you have to prove your skills and abilities. What else can showcase your knowledge and proficiency better than a killing portfolio? Of course, in some cases the client will ask to make a short test translation anyway. But having a proper translation work samples that you are proud of is a good way to show the level of translation quality you can produce and prove your experience in a certain domain. 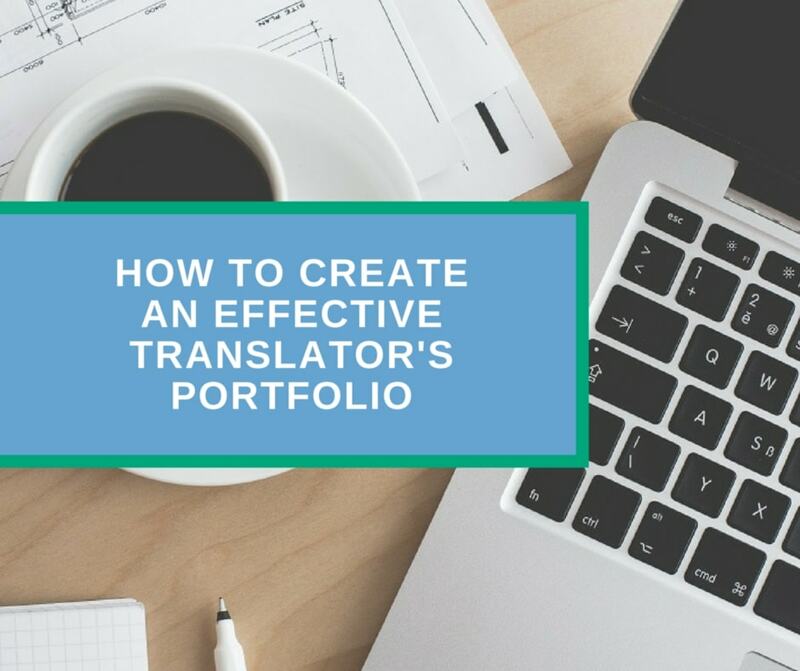 From this blog post, you’ll learn how to create an effective, mind-blowing translator’s portfolio to get most profitable projects you are dreaming about. Note: I’ve prepared a beautiful FREE template for your portfolio item with some simple instructions. You can download it below this post. Well, it’s OK. Everyone has to start somewhere, right? There are tons of text around the web that you can choose for your first translation portfolio. Just make sure you are not infringing any copyright while translating the text of your choice. Select several texts from the knowledge domain you are going to specialize in (actually you should specialize in some field of expertise to withstand high competition on the translation market). You may also want to do some volunteer translation for Translators Without Borders or offer your clients a couple of free translations mentioning that you will use the work results for your future portfolio. I already have some translation works. What’s next? That’s great! You are an established translator and I know that you worked hard to produce quality translations. Start building your portfolio right now! But before proceeding, make sure that the text you select for your portfolio contains no copyright, confidential or sensitive data. If you are not sure about it, ask your client before using the text. In some cases, deleting or just replacing any identifying information can be enough to get approval from the client. This might be one of the most challenging parts of building a translator’s portfolio. Of course, the selected samples shall represent the best works you’re really proud of. In addition, portfolio works shall have positive feedback from your clients. But what are the other criteria to make a proper choice? Portfolio works shall represent the areas of your specialization. For instance, I mainly specialize in website & app translations and my portfolio includes some website translation samples. I also offer IT and Engineering translation service. Therefore, I added texts related to IT and Engineering industry respectively. Translations made for high-end, widely known companies will serve the good turn for your portfolio. Find out which company from the list of your customers has greater influence in their field and select relevant samples. Does the text contain special terminology or cultural specifics? That’s great! Include it in your portfolio as well. This will show your knowledge and ability to manage complex translation tasks. You may identify some other characteristics for sample selection depending on your preferences and area. But you can be sure that items meeting three criteria above will be the best match for your portfolio. What else to add into your portfolio? Some project parameters may be of interest for your clients. Portfolio design and layout play an important role in the general perception of your work. You may select the most professional sample of work done for a top client. But if your portfolio is just a plain text without visually pleasing design and proper layout it won’t make the impression you expect. Prepare both versions. First goes offline portfolio in DOC, PDF or JPEG format. This type of portfolio items can be printed to use at personal meetings or sent via email in addition to your professional resume and cover letter (business proposal). Further, you can use these files in your online portfolio, which can be a part of your profile at UpWork, Proz or similar freelance job board. But the best way to place your portfolio online is to create your own website with a portfolio section. As a freelance translator, you should definitely have a website to promote your services. Even if you don’t have programming skills you still may create wonderful websites using drag-and-drop builders. However, there are certain limitations on these platforms. I’d rather recommend using WordPress CMS running on your own domain with separate hosting. But this topic deserves thorough consideration in my future blog posts. Thanks for reading my blog. Here is your free portfolio item!